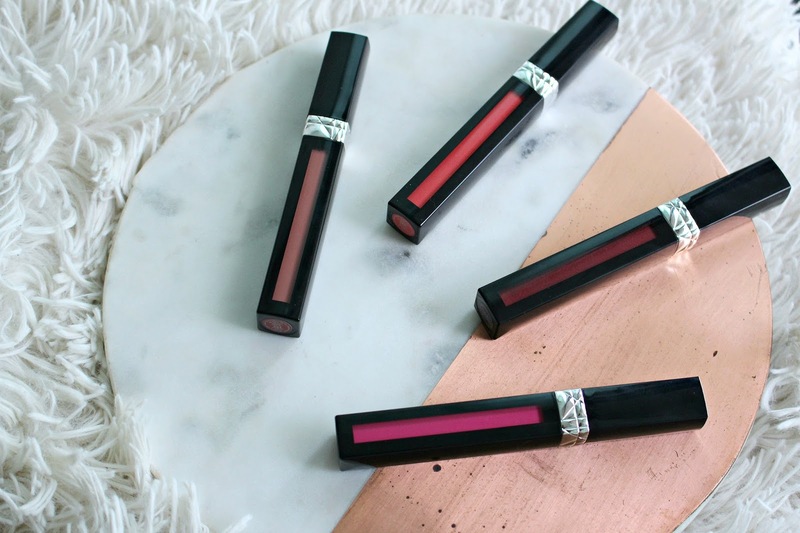 "Rouge Dior has been reinvented as the first liquid lipstick formula by Dior with multiple effects and surprising color impact. 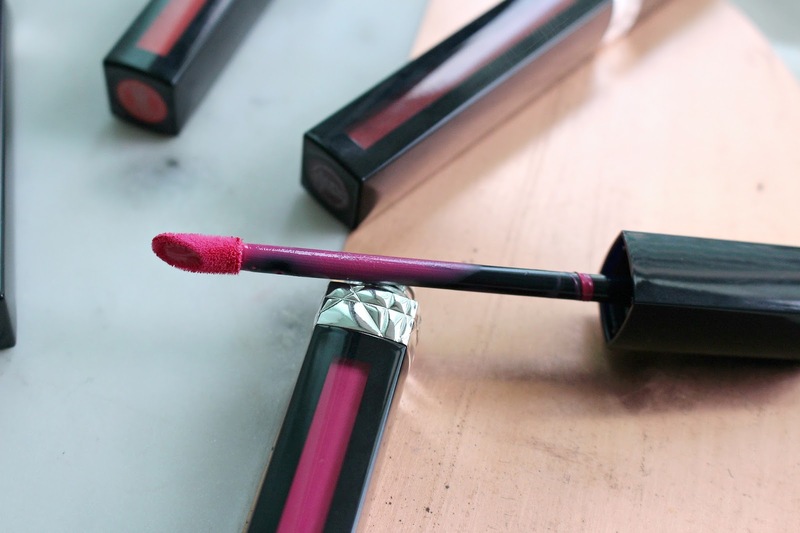 Rouge Liquid saturates lips with comfort and coverage, delivering 12-hour* long wear. 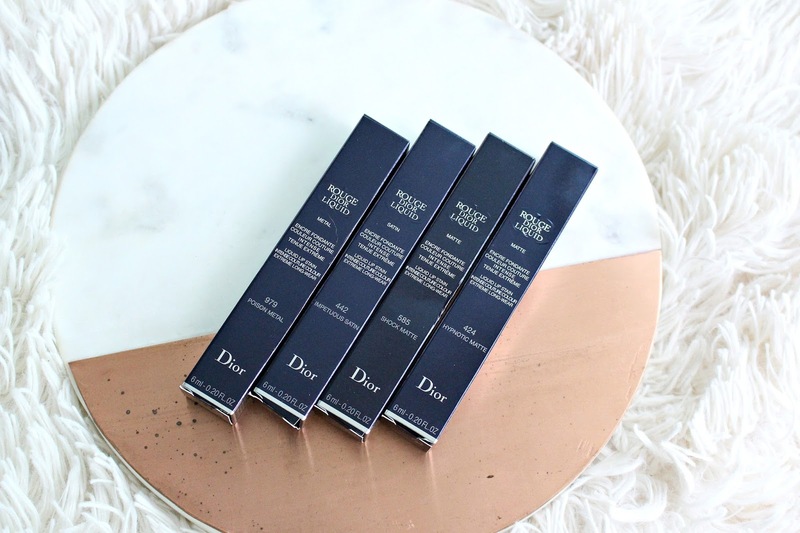 Available in 3 vibrant finishes: Matte, Metal and Satin"
There are a whopping 27 shades in the range of Rouge Dior Liquid Lipsticks, Dior doesn't mess around when it comes to lip products. 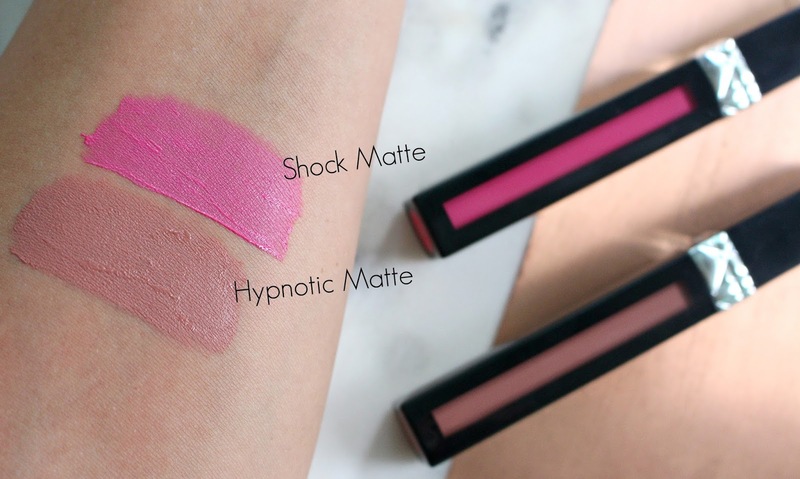 The matte formula is thin, somewhat moussy and has even pigmentation. The satin has a more watery feel, but not too thin. 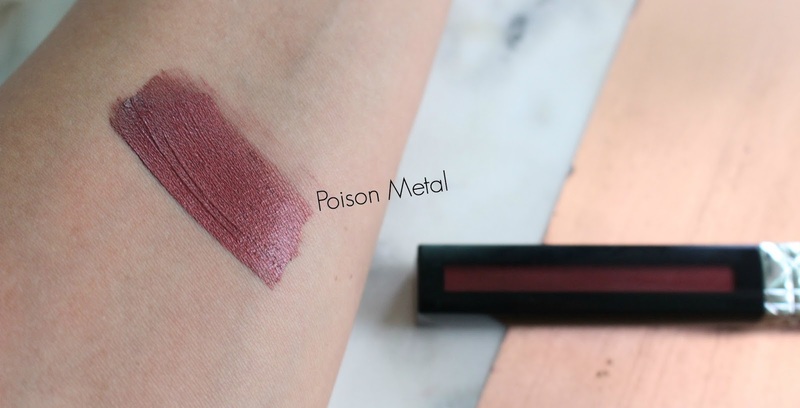 The metal formula is my favourite, it packs the most colour punk and the metallic glitter-free sheen is gorgeous. Dior Liquid Lipsticks will be available September 2017 at Dior counters and Sephora. Several shades are exclusive to Sephora. They retail for $43 CAD and $35 USD. *These items were sent for my review, all opinions are my own. Links are affiliate.